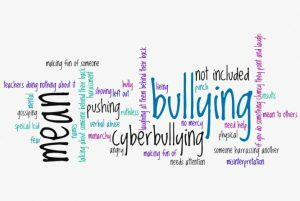 Bullying is a specific form of violent or other negative behavior of young people. It includes verbal and physical violence, social isolation, sexual harassment, and some forms of economic violence such as theft or extortion. Statistics on this problem are devastating, especially when it comes to bullying of lesbian, gay, bisexual, trans* and intersex (hereinafter: LGBTI) children. The Republic of Serbia ratified wide range of international instruments, among which most relevant for determining the position of LGBTI persons and groups and prohibition of bullying are European convention for the protection of human rights and fundamental freedoms and Convention on the rights of the child. Based on solutions from the General protocol on protection of children on abuse and neglect, Special protocol on protection of children and students from violence, abuse and neglect within educational institutions was adopted in 2007. More specifically, homophobic, bi-phobic or transphobic bullying, as most commonly referred to, can be defined as “behavior or language which makes a person feel unwelcome or marginalized because of their sexual orientation or gender identity, whether actual or perceived, or because of their association with people who are, or perceived to be, gay, bisexual or transgender“. The school was the area where young LGBTI people in Europe experienced the most prejudice and discrimination – 61 %, as opposed to 51 % in the family, 38 % in other communities, and 30 % in circles of friends. Situation in Serbia is even worse. Patriarchal norms, nationalistic values and clerical influences impact re-traditionalizing of society and nurture outdated and dangerous concepts regarding minorities, including women, ethnic minorities and LGBT population. Discriminatory practices against LGBTI children in schools in Serbia, including discrimination between peers, are based on stereotypes and prejudices about LGBTI population which are deeply embedded in social fabric of Serbian society; and thus, need to be addressed accordingly – on every level, through various channels and methods and by all relevant actors. Labris, in cooperation with Sarajevo Open Centre, initiated implementation of the project with the purpose of identifying the gaps in systematic approach to the issue of bullying based on sexual orientation and/or gender identity in high schools in Serbia. During the initial phase of the project Labris conducted analysis of the high school students opinions on bullying based on SOGISC. Asked about the specific situation in their schools, 72 % of students stated that the violence in their schools had been happening every day or often (including mocking, exclusion, teasing and similar acts of violence). 37% of interviewees think that violence against LGBTI children can be justified. 66% of male high school students agree with the statement that “the boys who are in love with other boys should be beaten”. Even 43% of the students who participated in the survey stated that they would avoid another student because of her/his sexual orientation or gender identity. Respondents also have identified school pedagogues and psychologists as the change agents and potential support to the LGBTI children in need. Actually, pedagogues and psychologists from the schools which participated in this research presented several positive examples of their personal involvement in supporting LGBTI children, including their referral to adequate services and programs. In addition, local services aiming at providing direct support to LGBTI children – counseling, psychotherapy, peer support groups, etc. (recommended also in the Protector of Citizens report), including the services and programs for youth provided by civil society organizations (evaluated as the most important by the representatives of LGBTI community) are crucial for full exercise of rights of LGBTI youth in Serbia. Based on Labris’ Shadow Report on the implementation of the Strategy for Prevention and Protection against Discrimination and the related Action Plan “apart from apparent determination of educational institutions to address the issues of general discrimination and violence in schools, it is still unclear how they act and react in cases of violence against LGBTI children, how do they understand and treat the issue of LGBTI rights in general and within their annual development and action plans”. That is why it is necessary to include relevant content in the school books and lectures, but also workshops which could be implemented with the civil society organizations, as the most experienced in promotion of LGBTI rights in Serbia. Next step of the comprehensive strategy should be to engage pupils’ emotions and to appeal to their feelings.